Last week Poland´s ruling Law and Justice party (PiS) once again showed its determination in becoming an authoritarian and undemocratic government. The far right-wing party, commandeered by Prime Minister Beata Szydlo, passed a new law in both the Parliament and Senate that would place the country’s Supreme Court under government control. According to the new reform, ministers would have the power to select judges and members of the country’s highest court, undermining the independence of Polish justice and weakening confidence in the rule of law free from political intrusion. The controversial bill sparked massive public unrest from thousands of people who attended nationwide demonstrations against the new reform. 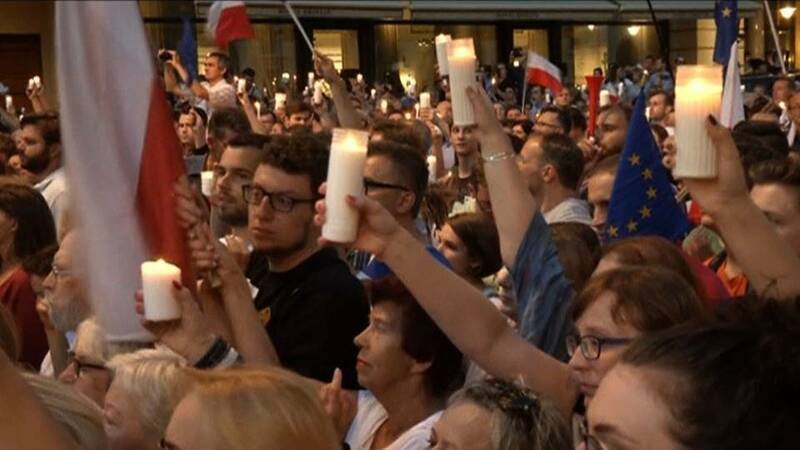 This Monday, President Andrzej Duda finally succumbed to the mounting pressure from the multiple popular protests, announcing he will veto the bill. It is the first time that Duda, former member of PiS, has openly disagreed with the party of the government, directed under the shadow of former Prime Minister Jaroslaw Kaczynski. Such legal changes could deeply compromise basic principles of freedom, justice and democracy. Unfortunately, this undemocratic direction set out by PiS is not entirely new. The nationalist party has, since arriving to power in October 2015, been launching a series of reforms that demonstrate its move towards authoritarianism. After journalists were denied entry to Parliament, public media and NGOs have been put under tight governmental control. Last year, after threatening to totally ban abortion in the country, the party ended up withdrawing its support of the law, due to pressure made by massive demonstrations. The approval of such measures could have severe repercussions across Europe. Whilst Polish democracy remains in grave danger, the poor response from the European Union has greatly damaged its trustworthiness. Although the EU has opposed the new law, threatening Poland with exceptional sanctions, its reaction has been weak. Fortunately, popular pressure and social activism of a society fed up with its government´s actions, has managed yet again to make the difference.